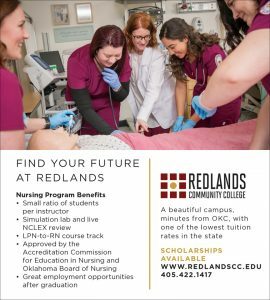 Jessica and Reagan Blackwood at Redlands Community College’s School of Nursing. A longtime office manager, Blackwood decided to become a nurse after learning Reagan would be born with a congenital heart defect. Jessica Blackwood thought she had life all planned out. She had a beautiful daughter, a great job, greater husband and was pregnant with her second child. Little did she know how much a routine medical test would change everything. It was. 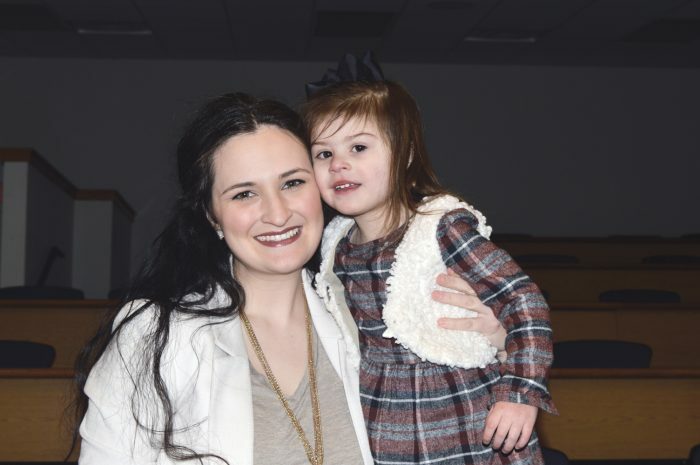 Blackwood and her husband Matt soon learned their baby – a little girl – was seriously ill. At 22 weeks, the couple first learned about hypoplastic left heart syndrome, a congenital heart defect that results in insufficient formation of the left side of the heart. HLHS meant their as yet unborn child, whom they would name Reagan, would need a series of three open heart surgeries before she was old enough to attend school. While an understandably stressful time, Blackwood also found peace as she and Matt prepared for their daughter’s birth. It was in Dallas a new idea of Blackwood’s future began to crystallize, she said. First there was the frustration of having to step aside as medical professionals handled her tiny daughter’s treatment. That’s where an idea germinated and then began to grow – Blackwood would leave behind her managerial job and jump into something completely different. She would become a nurse. That decision was reaffirmed when the couple became acquainted with an organization formed to help families like the Blackwoods. It was called Mended Little Hearts and it was a Godsend to the family, Blackwood said. That was two years ago, and Blackwood’s life has moved beyond anything she would have expected when she first learned she was pregnant with Reagan, she said. She is set to graduate from Redlands Community College’s School of Nursing in May, not long after Reagan’s second birthday, and has established herself as a beacon to families going through challenges similar to what her own experienced. Blackwood has done that through social media and outreach, including her position as lead coordinator for the Oklahoma City office of the organization that did so much for her. Mended Little Hearts of Oklahoma City hosts educational programs, provides a lifeline and support network between families and resources, as well as promoting congenital heart defect disease awareness. Her work there led to a last-minute job helping to coordinate OU Children’s Hospital’s February 2018 Heart Week activities and ongoing sponsorship of the Heart of a Warrior softball tournament, in its third year set for April 28. “Over the years Heart of a Warrior has hosted so many events that have benefited families who have a child suffering from a medical condition that requires them to stay long periods of time in the hospital, as well as donations to the Ronald McDonald House and NICU at Children’s Hospital,” Blackwood said. The NICU is where the 29-year-old Blackwood’s hopes to be as she readies for the start of her nursing career, she said. After going through what she did with Reagan, she believes that’s where she belongs, working in yet another way to help families make it through the medical and emotional challenges that come with a congenital disease. More information about Reagan Blackwood’s journey, and that of her family, can be found on the Facebook page, “Walk the Beat with Reagan.” To learn more about Mended Little Hearts of Oklahoma City, go online to http://oklahomacity.mendedlittlehearts.net/; the Heart of a Warrior softball tournament will begin at 7 a.m. April 28 at Kingfisher’s Briscoe Sports Complex. More information about the tournament, including how to sign up, is available at https://www.facebook.com/HeartofaWarrior3/. The Southern Arkansas University Alumni Association honored Dr. Lepaine McHenry, dean of the OBU College of Nursing, during the organization’s annual Distinguished Alumni Awards dinner held Thursday, March 8, on SAU’s campus in Magnolia, Arkansas. McHenry was among seven alumni recognized by SAU for outstanding accomplishments in each of their respective fields. Photo courtesy of SAU communications. 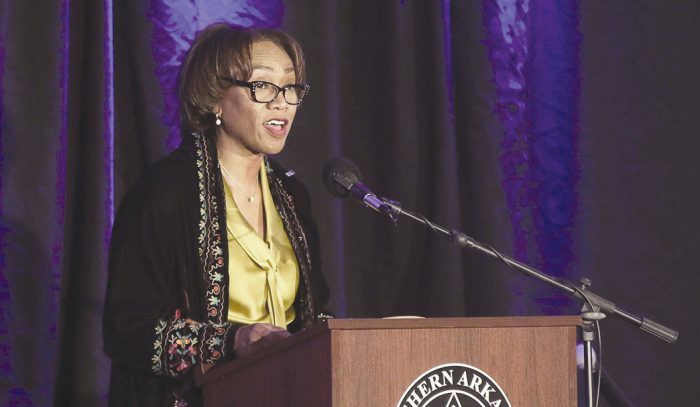 The Southern Arkansas University Alumni Association honored Dr. Lepaine McHenry, dean of the OBU College of Nursing, during the organization’s annual Distinguished Alumni Awards dinner held Thursday, March 8, on SAU’s campus in Magnolia, Arkansas. McHenry was among seven alumni recognized by SAU for outstanding accomplishments in each of their respective fields. 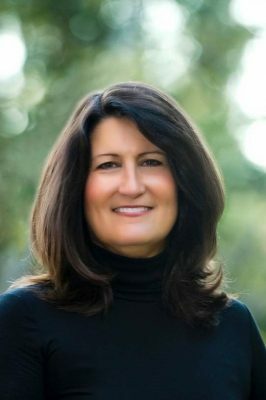 McHenry graduated from SAU in 1981 with an associate degree in nursing. She then earned a BSN at the University of Arkansas, an MSN at the University of Oklahoma-Tulsa, and a Doctor of Nursing Practice with a specialty in executive leadership from Union University. She was honored and humbled to receive the award. “I am so excited to be recognized by my alma mater,” she said. “It is a humbling feeling to know that your colleagues believe you are worthy of such an award. When I look back at those who have been recognized before me, I am honored to be in their company. My learning experience at SAU cultivated my confidence and established me as an independent thinker. My faculty were dedicated nurses who loved teaching and their profession. They instilled this love and respect for nursing in me. McHenry joined the OBU faculty in 2013 as dean of the College of Nursing. Before coming to Bison Hill, she served as assistant director of the Eleanor Mann School of Nursing at the University of Arkansas. Her clinical practice includes medical surgical nursing, long term care, adult psychiatry, staff development, adult addictive disease, children/adolescent psychiatry, and human resources. McHenry is the founding president of the Arkansas Directors of Nursing Administration in Long Term Care Association and past vice president of the National Association of Directors of Nursing Administration in Long Term Care. McHenry chaired the Transition to Practice Committee for the National Council of State Boards of Nursing and served as the vice president of this organization. She served four appointments by the Governor of Arkansas, including the Long Term Care Advisory Board, Minority Health Commission, Arkansas State Board of Nursing, the Governor’s Roundtable on Healthcare, and the Health, Safety, and Rural Development Committee for the Arkansas Farm Bureau. She is currently serving on the Finance Committee for the American Association for Colleges of Nursing. 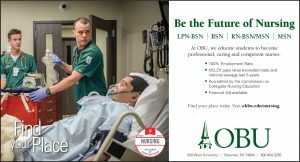 For more information about OBU’s College of Nursing, visit www.okbu.edu/nursing. With its campus in Shawnee, and locations in Oklahoma City and Broken Arrow, OBU offers 10 bachelor’s degrees with 88 fields of study and five master’s degree programs. The Christian liberal arts university has an overall enrollment of 2,093, with students from 37 states and 40 other countries. OBU has been rated as one of the top 10 regional colleges in the West by U.S. News and World Report for 26 consecutive years and has been Oklahoma’s highest rated regional college in the U.S. News rankings for 24 consecutive years. OBU is one of three universities in Oklahoma and the only private Oklahoma university listed on Great Value College’s rankings of 50 Great Affordable Colleges in the Midwest. Forbes.com consistently ranks OBU as a top university in Oklahoma and the Princeton Review has named OBU one of the best colleges and universities in the western United States for 13 consecutive years. She has a long history with Oklahoma City University, receiving her MBA from OCU in 1992 and an Honorary Doctorate of Humane Letters from the university in 2012. She has served on the OCU Board of Trustees since 2008 and chairs its audit and finance committee. Misty Carruthers joined CTCA in Tulsa, as a nurse tech in the inpatient unit. 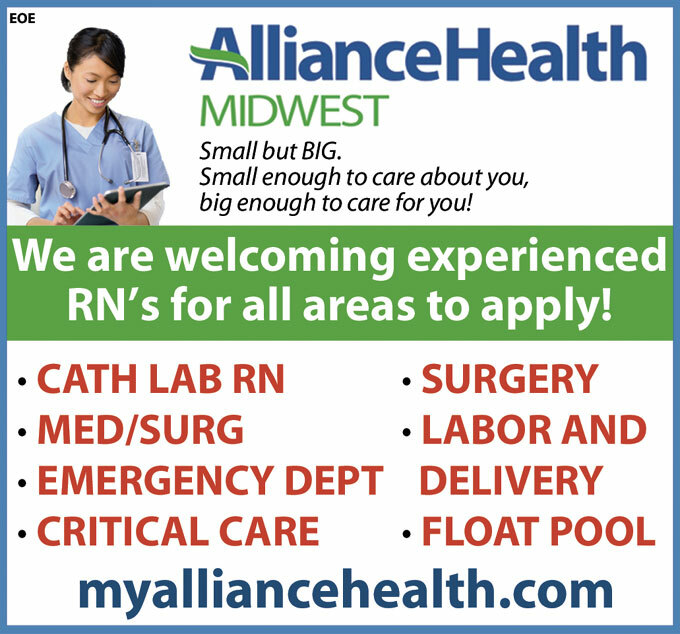 Over time her career would progress to LPN, RN, charge nurse and ultimately to manager of the inpatient unit. 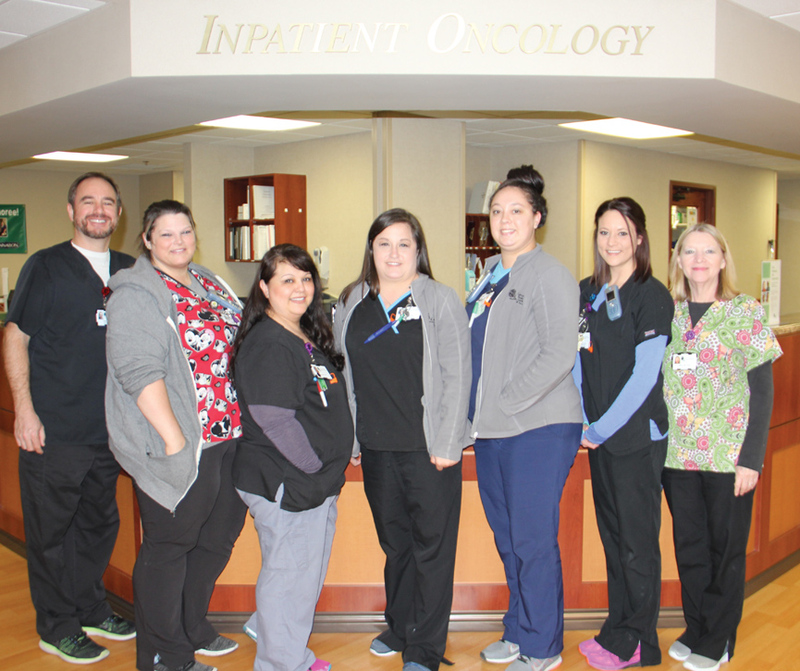 Misty Carruthers of CTCA in Tulsa and a few of her 33-member Inpatient Oncology team. 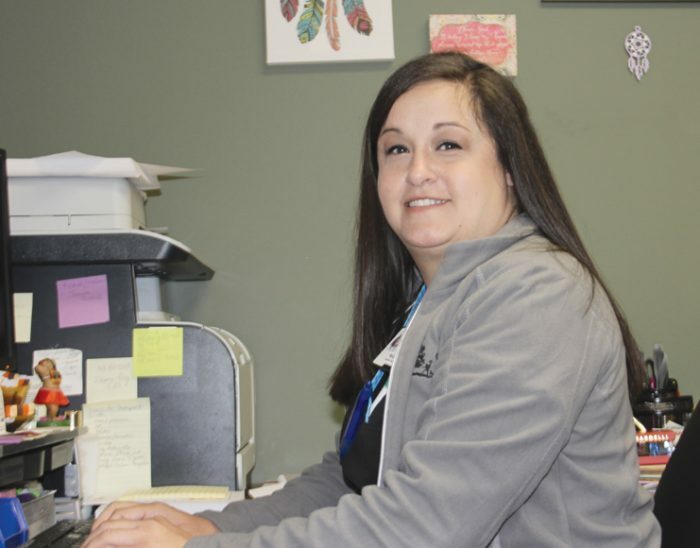 In 2007, Misty Carruthers joined Cancer Treatment Centers of America (CTCA) in Tulsa, as a nurse tech in the inpatient unit. Little did she know that over time her career would progress to LPN, RN, charge nurse and ultimately to manager of the inpatient unit. Currently, as inpatient nursing manager, Misty manages a department of 33, including nurses, techs, and a unit secretary. 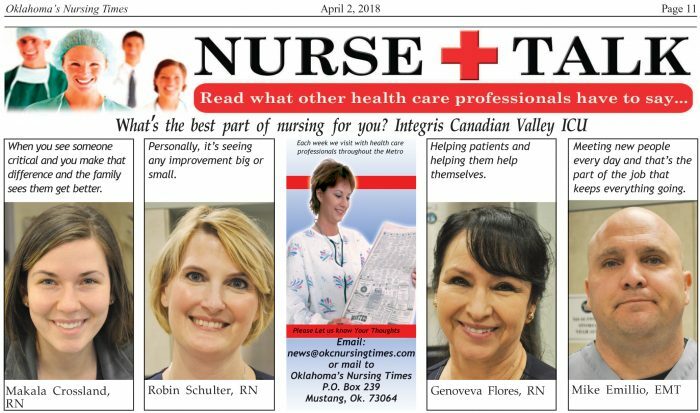 Misty’s advice for those who want to pursue a nursing career is to first become a Certified Nursing Assistant (CNA) and work in an area you are interested in. “If you still want to be a nurse after that time, then you know you have most likely chosen the right career path,” said Misty. 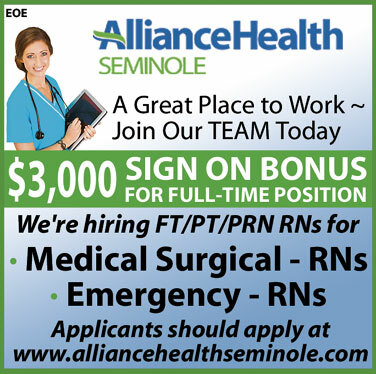 great employer matching 401K, Christmas bonus and the opportunity for quarterly bonuses! 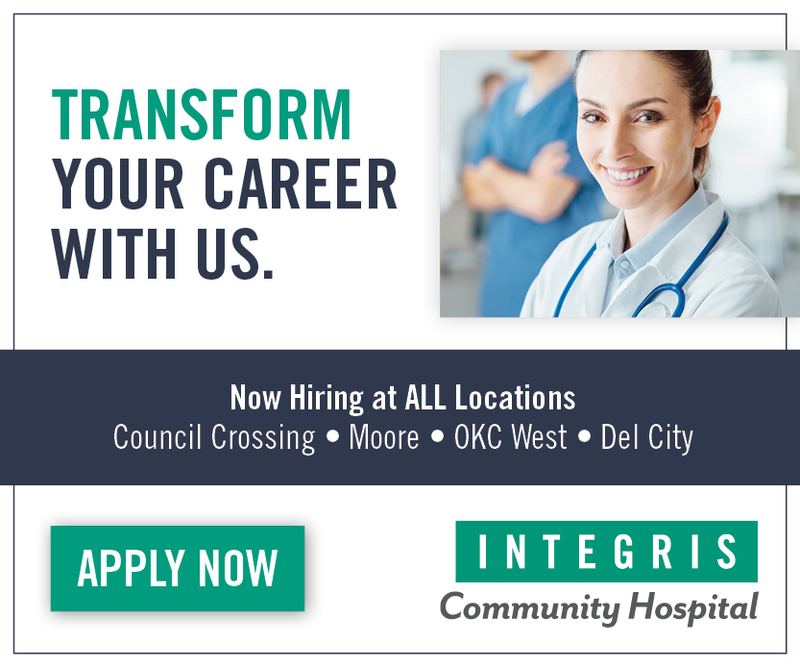 · Surgical Tech/Materials Management Coordinator, M-F Days, Full Time Apply online www.communityhospitalokc.com or www.nwsurgicalokc.com for NORTHWEST SURGICAL HOSPITAL positions. Carrying around a few extra pounds might not seem like that big of a deal, but when you consider the fact that studies have shown that obesity shortens your life expectancy, those extra pounds can be life-altering. Comprehensive research concludes that overweight people shave about one year off their life, while moderately obese people lose as much as three years. Add to this the fact that obesity is linked to other health-related issues like diabetes, heart disease, stroke, and high blood pressure (all of which can lead to premature death), and overcoming obesity becomes a high priority. Losing weight is tough, but it’s worth it when it saves your life. Fast food is super convenient, not to mention it tastes so good, but in the long run it can wreak havoc on weight loss goals. Changing your normal routine can be difficult, which is why you should make small, but impactful diet changes. Start by switching your attitude about food, and focus on what you can eat rather than what you can’t. Thinking about certain foods as off-limits may leave you feeling as if you are being restricted, but proper nutrition provides endless opportunities. There are fruits and veggies you may have never tried, such as dragon fruit, guava, bok choy, and spaghetti squash, all of which can be used in a variety of ways. Water is another simple way to make a big change. Like most people, you snack when you are bored or stressed, and sometimes you mistake your hunger for thirst. Next time your stomach starts to grumble, drink a glass of water to see if that makes a difference. Drink a glass of water before meals too to get that full feeling so you don’t over do it with a second helping. Exercise isn’t always at the top of anyone’s fun list, but it’s necessary for weight loss, which is why it is important to find the right routine. Make it convenient to work out by choosing a gym near your home or office, and having workout clothes/gear in your car so you don’t have an excuse to skip out. If you don’t have the time to hit the gym, put in a workout DVD, follow an online class, or purchase your own equipment to create a home gym. Turn your routine into a ritual by completing smaller rituals that revolve around your workout. Set out your workout clothes at night, brew a cup of coffee for the drive to the gym, or play music before you sweat it out to get you motivated and energized. Above all, don’t beat yourself up when you don’t see the results you expected. There will be triumphs and setbacks, but you have to keep moving forward. Recruit an accountability partner to keep you focused, and provide that push and encouragement when it feels like you aren’t getting anywhere. With proper diet and exercise, some individuals are able to lose the weight rather easily. For those who are severely obese, bariatric surgery is an option, as it reduces the amount of food your stomach can hold, assisting in your weight loss goals. 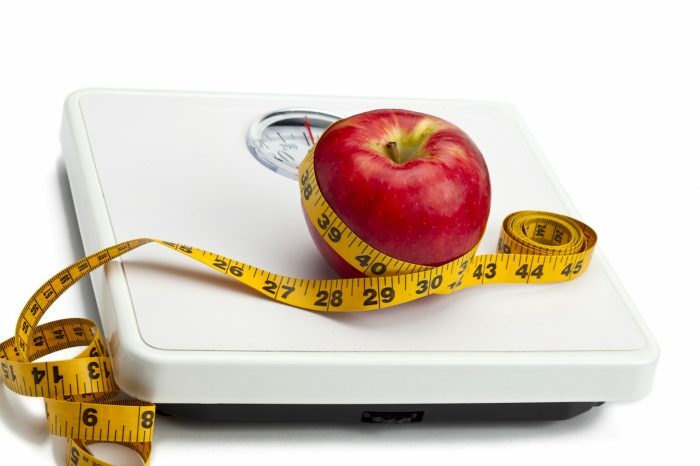 According to Qunomedical, on average, a patient will decrease “15% to 30% of their starting body weight in the first few months following bariatric surgery,” and keep the weight off by following a diet and exercise routine. The biggest pro to gastric bypass is the weight loss boost, in addition to improved obesity-related health conditions and better quality of life. However, there are cons that need to be considered. Immediately after surgery, you will be on a pureed diet, and slowly transition to solids. Portion sizes will be much smaller due to the decreased surface area of your stomach, which might be hard for your brain to comprehend. Keep in mind that the pros and cons vary depending on the type of surgery you receive. Overcoming obesity is an ongoing battle, but you can do it. Revamp your diet, find an exercise routine that works, and when all else fails, consider alternatives such as bariatric surgery to get things going. You won’t win the battle overnight, but victory is within sight. When you think about it, why wouldn’t everyone desire to gain knowledge of some type, to be better informed, to be more a part of our political reality? You would think the answer would be; of course everyone wants to be educated. But not everyone does. How much listening vs talking? There is much to be said for gaining knowledge by listening; it could be the knowledge that what you are hearing is lacking in credibility. Not everything we hear will we agree with and that is OK. Maybe it will motivate us to ask questions. Questions are vital in gaining knowledge. You don’t have to believe it just because someone tells you it is fact. Look it up. Research it. Ask how they know that to be true. Lets become more authentic with our knowledge. If you are talking to someone who says they don’t watch the news because they don’t want to know what is going on…..move on. There are those people who function better in a detached reality. So as we talk about learning and knowledge we have to ask, “How in the hell did the teachers in Oklahoma end up at the bottom of financial importance?” How do the politicians explain that to the college educated teacher who computed her hourly pay to be $1.25!!!! Is there any politician making $1.25 per hour? Think of it like this, the teacher who educated the politician, (who by the way ranks 14th in yearly salary) is ranked 50th!! So Cassandra, keep reading, listening and educating yourself. AND vote with knowledge and a big dose of reality!!!! When: Friday, April 27, 2018 at 8:00am – 4:30pm. 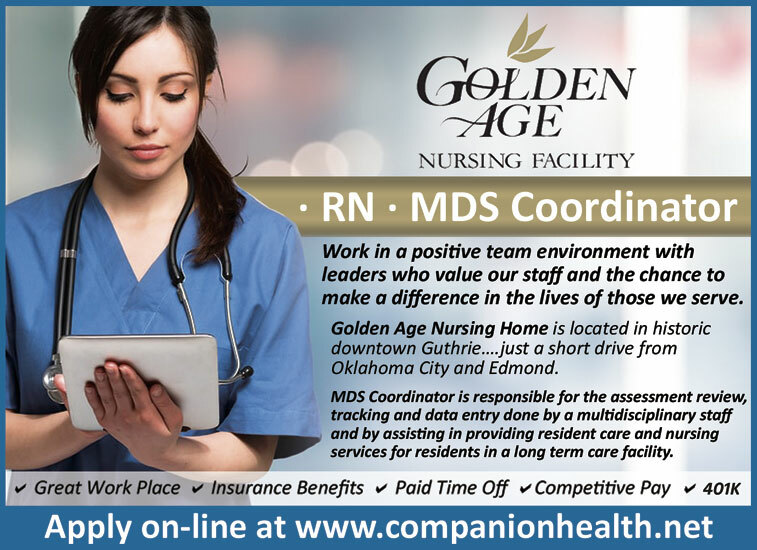 Where: Norman Regional Hospital Education Center, 901 North Porter Avenue, Norman, OK 73071. Who Should Attend: Nurses, home health and long-term care providers, physicians, social workers, and other hospice and palliative care providers from acute, post-acute, home and chronic care settings. Topic: Numerous Speaker(s): Dr. Sarah Yoakam, MD, Dr. Sarah Minor, DO, Dr. Bryan Struck, MD, Dr. Peter Winn, MD Professor at OUHSC, Dr. Rachel Funk-Lawler, PhD, Becky Lowery, APRN, CNS, AOCN, Additional Information: The Oklahoma Chapter of the Hospice and Palliative Nurse’s Association is offering an interactive and interdisciplinary education forum for nurses and other healthcare professionals. Our aim is to increase healthcare provider awareness, knowledge and skills necessary to provide supportive and palliative care and symptom management throughout all phases of the palliative and hospice care trajectory. 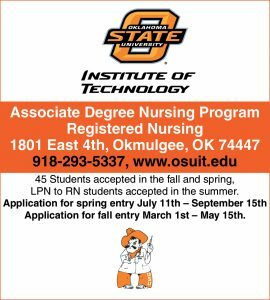 Please register at https://okhpna.nursingnetwork.com *free to Norman Regional Employees*. When: Thursday, April 26, 2018 at 8:30am CT – 4:30pm CT Where: NorthCare of Oklahoma City, 2617 General Pershing Boulevard, Oklahoma City, OK 73107. CE Credits: This event offers 6.0 CE credits to attendees. CE accredited by Continuing Education Approved: LCSW, LSW, LSW-Adm. (6.5 hrs., including one hour of ethics) Home Care and Hospice Administrators (6.5 hrs., including one hour of ethics) LADC (6.5 hrs., including one hour of ethics) LPC and LMFT (6hrs., including one hour of ethics) LPNs, RNs (6.5 hrs., including one hour of ethics) Continuing Education Requested: Nursing Home Administrators and Certified Assistant Administrators (6 hrs.) 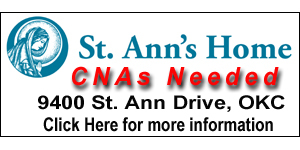 RC/AL, Residential Care, and Adult Day Administrators (6 hrs.). 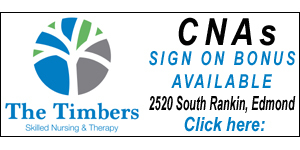 Cost: $65.00 with CE credits $20.00 without CE credits Lunch will be provided. Topic: Full list provided here: https://okhpna.nursingnetwork.com/ PosAgeConfAgenda_2018 Speaker(s): Roberto E. Medina, MD Assistant Professor Reynolds Department of Geriatric Medicine Mark A Stratton, Pharm.D., BCGP, FASHP Professor Emeritus OU College of Pharmacy Jacqueline L. Millspaugh, M.Ed., LPC Clinical Support Manager Oklahoma Department of Mental Health and Substance Abuse Services Karen Orsi, BA Director Oklahoma Mental Health and Aging Coalition. Additional Information: For information and accommodations please contact Diane Freeman by phone (405)325-2822 or dkfreeman@ou.edu. Sponsored by OU Fran Ziegler and Earl Ziegler College of Nursing. 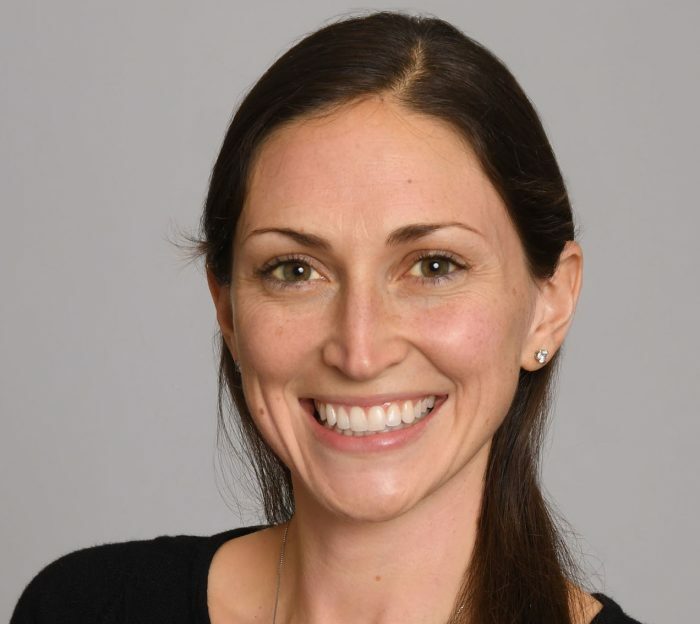 Pediatrician Alexandra N. Lich, M.D., has established her practice with OU Children’s Physicians. She has also been named a clinical assistant professor in the Department of Pediatrics at the University of Oklahoma College of Medicine. She sees patients in Oklahoma City at OU Children’s Physicians Southwest Pediatrics, 927 S.W. 89th Street. 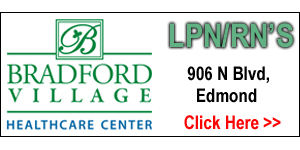 Lich is board certified in pediatrics. 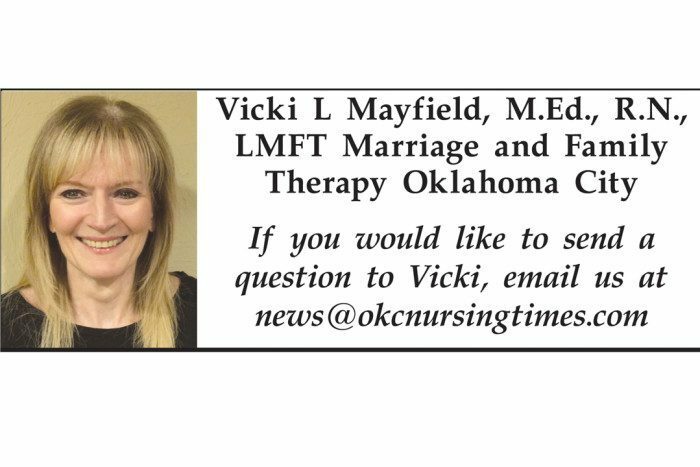 She has been a community pediatrician in Oklahoma City since 2015. She completed her residency at the University of Oklahoma College of Medicine, where she also earned her medical degree. She is a member of the American Academy of Pediatrics. Lich is fluent in English and Spanish.